Earlier this year the news came in that UNESCO had designated Sri Lanka’s Central Highlands as a new World Heritage Site. 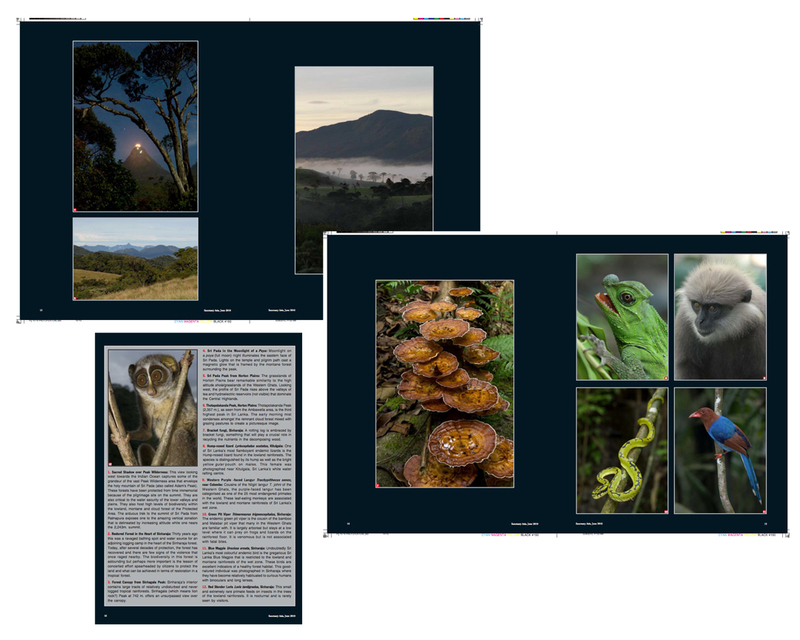 The designation includes the Knuckles Range, Horton Plains and the Peak Wilderness areas, all favorite place for my explorations, student trips and photography. These are symbolic victories for conservationists and draw attention to the fragile montane ecology that Sri Lanka hosts amongst bustling tea estates and vast monoculture plantations of eucalyptus and pinus species. Most of the sites are formally protected by the SL Forest or Wildlife Departments, but recognition by UNESCO will give the areas greater significance within and outside the country. Conservation International has labeled the same areas (and much of the island) a “biodiversity hotspot” together with the Western Ghats. The Central Highlands now join Sinharaja rainforest to make up two “man and biosphere” reserves on the island. The remaining World Heritage sites are cultural (Polonnaruwa, Galle Fort, Anuradhapura etc.). 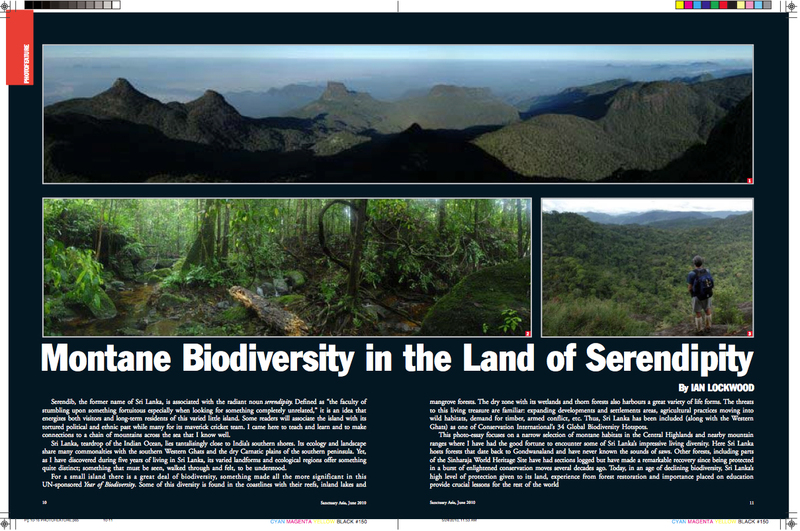 By coincidence the news came on the heels of a photo-essay on montane forests in the Central Highlands and Sinharaja that I had published in Sanctuary Asia in June.